What’s the “CPDL I/O” board do? What’s the point in uploading all the schematics etc. and then marking them “All Rights Reserved”? Technically it’s automatically true. It’s actually that automatic copyright and it’s enforcement that makes free software and open-source-hardware’s ‘copyleft’ licenses enforceable. So maybe he just hasn’t decided on a license to give it yet. I couldn’t see any licencing comments anywhere and he firmly states “All Your ISA Belong to Me!” so I am left to assume that’s the direction it might go. Even with that ambiguiity It’s a nice project so keep up the good work. How is that different from when construction articles were published in magazines? You could build from the article. You could learn from it. You could modify the project. You could use what you learned in some other way. You could turn around and write your own article, of your modified version. You couldn’t copy the article. You probably couldn’t mass produce what was in the schematic. People talk about “open source hardware” but then condemn those who do produce their own version. For most people it’s just informational since the circuitry is too dense to build at home and esoteric parts may not be available in single quantity, so they have to buy the assembled unit (not unlike the magazine days, when the articles were often just ads for a kit, too many hard to get arts or too much work to assemble at home). Bitslice! So retro. 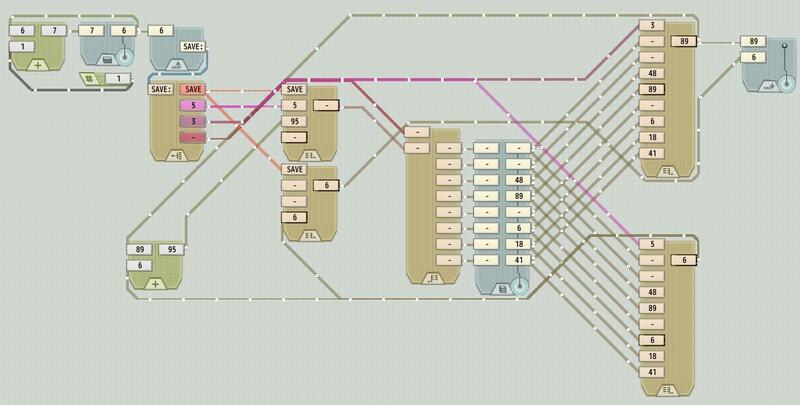 I remember reverse engineering a SASI controller that used a 74181. I still see 4-bit micro-controllers in microwave oven control panels. Unfortunately they are OTP and there is no FLASH version, otherwise I could have lots of fun! you are exactly right! this is what got me looking at creating my own. this version is greatly expanded… there might be a more concise version in the future!